While there is much to debate about whether it is better to buy or lease a vehicle, it is certainly advantageous to have a car to trade in when you enter into a new lease agreement. Although many leasing companies offer no-money-down deals, you may be charged a down payment to counter the risk to the leasing company if you fail to make your payments, especially if you have bad credit. By having a vehicle to trade in, however, you may be able to make up the difference. 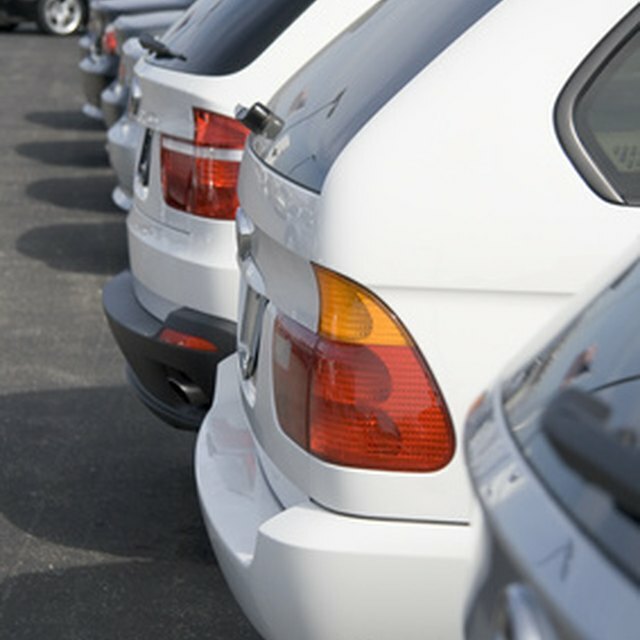 Leasing companies will often only give you scrap value for your trade-in, unless it’s in great condition. Therefore, you may be better off selling your vehicle to a third-party and using that money to cover the cost of a down payment on your lease agreement. Even if the leasing company doesn’t charge you a down payment, it may charge you high interest rates tacked on to your monthly bill. Additionally, you could also be paying high monthly payments simply for having an expensive vehicle. By having a trade-in vehicle at the start of your lease, you’ll be able to pay off a large portion of the total contract price of the vehicle upfront, which will bring down your monthly payments considerably. For example, if you have a total lease price of $10,000 over the course of a three-year agreement, your monthly payments, not including taxes or other considerations, would be $277. If you had a trade-in vehicle worth $2,500, however, your monthly payments would only be $208. When you trade in a vehicle, you’re only responsible for paying sales tax on the final lease price. Therefore, if a lease agreement is for $10,000, but you have a trade-in vehicle worth $2,500, you only have to pay sales tax on the $7,500 that’s left over. If your state sales tax is 6 percent, for example, you’d save $150 on the tax alone. Each state has its own sales tax and individual counties or cities can have their own sales taxes on top of the state tax, which means your savings could really add up depending on where you live. Is it a Good Idea to Trade in a Car You Are Upside Down on & Get a Lease? Also, the $2,500 you gained from the transaction by trading in your vehicle --which you otherwise would have had to pay tax on -- is deferred to the new lease. Therefore, you’re escaping sales tax on the same transaction simply by trading your vehicle in to the dealership instead of selling it to a third-party. Brandon Dennis holds a bachelor's degree in mechanical engineering from the College of Central Florida with a minor in journalism. Since then, he has enjoyed working in the automotive aftermarket and has done so for the past six years. He is also currently seeking an ASE Certified Technician Certificate.